A week of action and education to spread the word that 90% of our bee species in the UK are solitary. With growing awareness of the plight of our pollinators, Solitary Bee Week has been organised to help the public learn about our ‘other’ bees. When asked about bees most people will mention honey and bumble bees but 90% of our bee species in the UK are actually solitary bees. 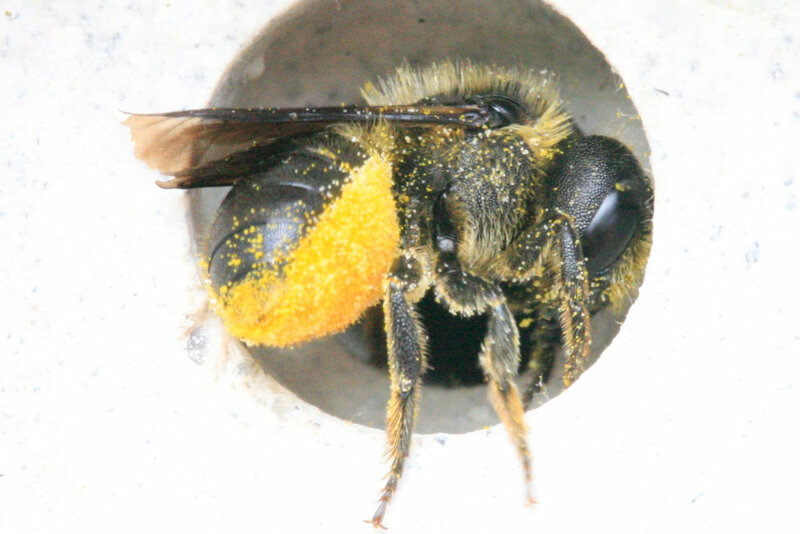 Solitary Bee Week 2019 runs from 1st – 7th July and includes lots of inspiration and actions to raise awareness and to support declining bee populations. The focus of the week is six simple actions to ‘earn your stripes’, and help the solitary bees, and in turn other pollinators too. There are lots of very simple things we can do to help our solitary bee population, and the public are urged to choose at least one of the actions below, to become a solitary bee hero. The Solitary Bee Week website contains more information on each pledge, as well as useful links for those who’d like to deliver an assembly in their local school or a community talk. On the Wednesday of Solitary Bee Week the public are invited to wear stripes of all shapes and sizes, spreading that word that bees come all in shapes and sizes too. In 2018 social media was awash with companies and schools getting involved, and in 2019 the hope is to get even more involved, creating a real buzz about all bees. Solitary Bee Week is a partnership between the University of Exeter’s Environment and Sustainability Institute (ESI) and Cornish product designers, Green&Blue. Find out more by visiting the Solitary Bee Week website (https://www.solitarybeeweek.com/) or contacting the team at hello@solitarybeeweek.com or on 01872 858658.